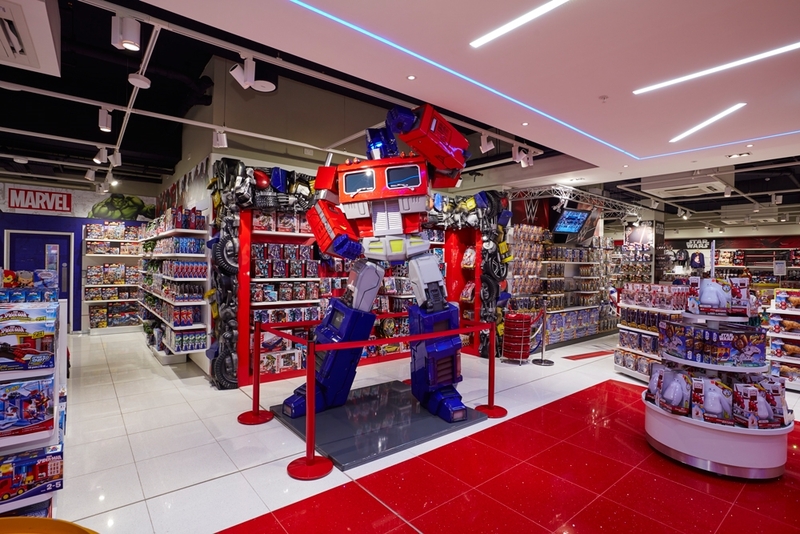 This awe inspiring sculpt of Hasbro Classic Optimus Prime stands 3 metres tall and creates a VM dimension to the store that really pulls the product off the shelf. In addition, using Optimus Prime and Bumble Bee as reference, (the two most popular robots in the Transformers series), we sculpted and cast 3D sections of amalgamated robot parts forming a strong and robust looking feature for the product display. Scenically painted and lacquered, the robot parts were clad onto a red gloss MDF structure forming a stunning wall bay feature.